Bautafilm | (Svenska) Svensk premiär för Till drömmarnas land! (Svenska) Svensk premiär för Till drömmarnas land! Our animation series in development, “Between Saajve and the sky“, has been selected to the prestigious pitching forum Financing forum for kids content. Only three projects are from Sweden of the totally selected 27. 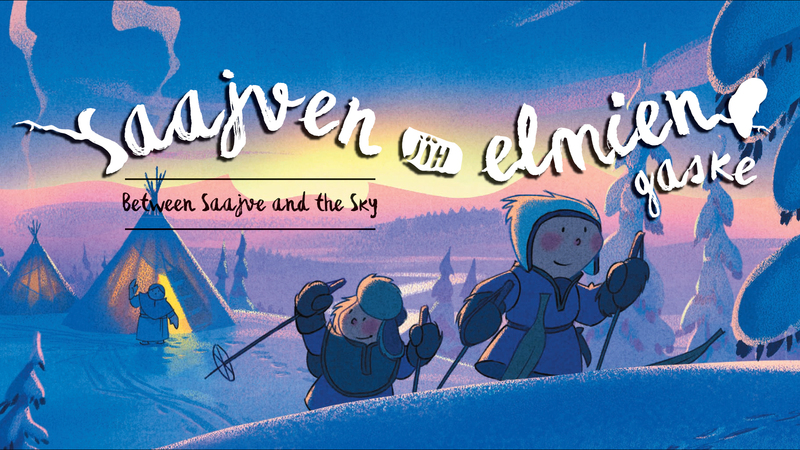 Saajven jïh elmien gaske, the original title in sami language, are animated fairy-tale-adventures for young kids. 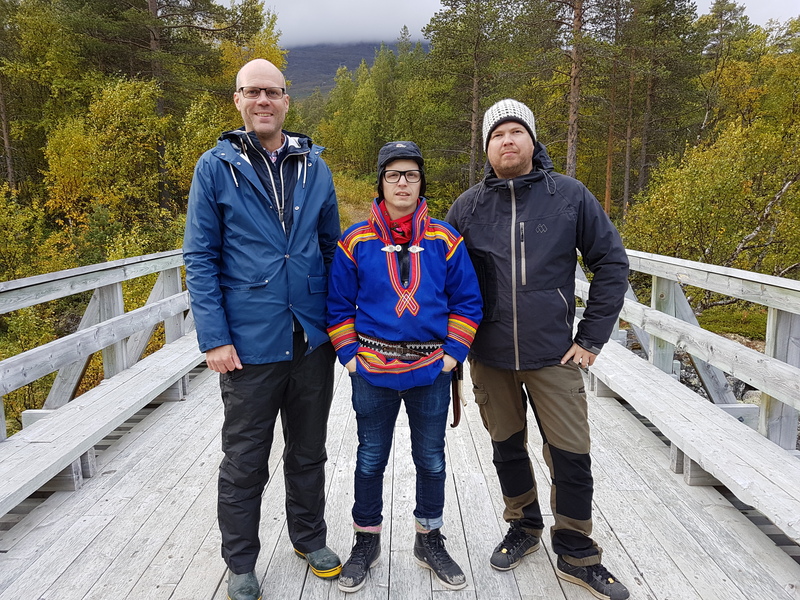 The stories take place in the sami nature where the forest meets the mountains. Here, the birds and animals can talk and lives mythical creatures like the dumb but dangerous Staaloe and the mysterious Saajvo-people. The project is developed at Bautafilm by Oskar Njajta Östergren, the visuals are created by Anders Östergren Njajta in co-operation with Endre Skandfer from the production company Fabelfjord. At the moment we are producing the pilot episode “Goeksegh / The northern lights“, so keep your eyes open for more news. 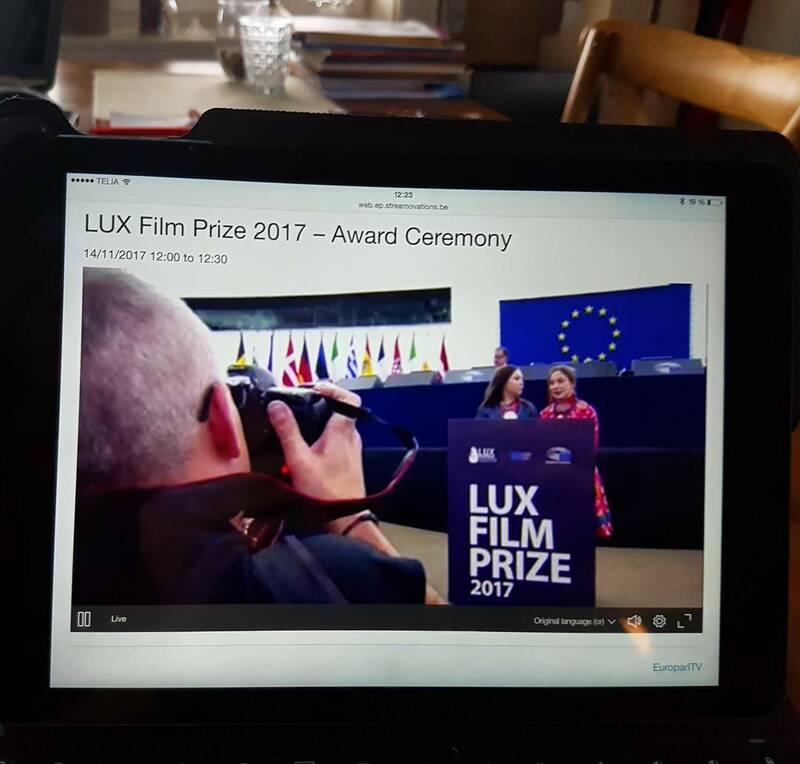 The European Parliament unveiled the winner of the 2017 LUX Prize at noon today in Strasbourg. The award went to Amanda Kernell’s Sami Blood! Sámi actresses Lene Cecilia Sparrok and Mia Sparrok, who play the lead roles in Kernell’s film, collected the prize, after which they delivered a statement. – “We are still here; we still exist. Every day, our people see the effects of colonial and racist thinking, as well as climate change. Since 2007, the European Parliament LUX FILM PRIZE casts an annual spotlight on films that go to the heart of European public debate. The Parliament believes that cinema, a mass cultural medium, can be an ideal vehicle for debate and reflection on Europe and its future. The winning film will be screened in all 28 countries within EU and translated into all 24 languages. Right now we are preparing the shooting of the short “Boom Boom” in Dividalen i, Norhern Norway. Per Josef Idivuoma is writer/director and Bautafilm in co-operation with Rein Film are producers. Boom boom is financed by Film i Västerbotten, Filmpool Nord, Int. Samiskt Filminstitut, Nordnorsk Filmsenter, The Sami parliament in Norway and Sweden, Arctic Image/Film Camp. On the picture, from the left: Olle Wirenhed (FAD), Per Josef Idivuoma (Writer/director) and Ken Are Bongo (Cinematography). Today Hot Docs announced their line up for 2017. Among this years 2906 submissions, which is the highest number so far, three of our productions and co-productions are officially selected for North American Premiere! Horungen by Knutte Wester are also in competition for best Mid Lenght Documentary. Hot Docs is North Americas biggest festival for documentaries. The festival takes place in Toronto/Canada between april 27 and may 7 2017. Our co-production Sami Blood reaches home after his odyssey on the world’s festivals. 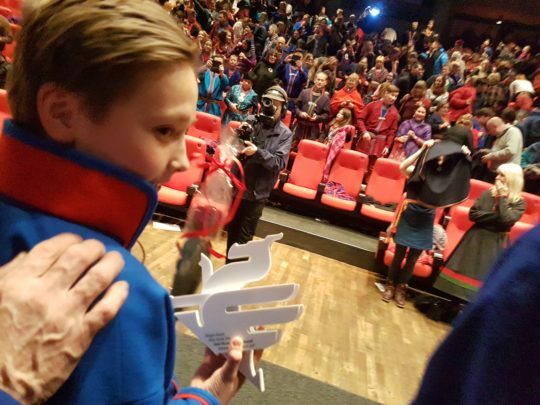 At the Gothenburg Film Festival, all four screenings were sold out, and the film won the main prize Dragon Award – Best Nordic Film, the world’s largest film award with a cash prize of one million crowns! After Gothenburg Sami Blood premiered on Sami land in Trondheim at the great 100th anniversary of the first Sami joint country meeting February 6, 1917. It was a very special screening with very nice response from the almost exclusively Sami audience. We say again congratulations to Director Amanda Kernell and the main producer Lars G Lindström Nordisk Film! Today Berlin Film Festival released the upline of films in the short film competition. Victor Lindgrens “The Comet” is the only Swedish film in competition at this years edition of Berlinale Shorts.The Comet is an interpretation of Melker Garay’s original story with the same title. 23 films from 19 countries will be competing for the Golden and the Silver Bear as well as the Audi Short Film Award, worth € 20,000, and a nomination for the European Film Awards at the 2017 edition of Berlinale Shorts.